The Essex Community Fund (EFC), a component fund of the Adirondack Foundation, is once again offering grants to nonprofit 501(c)(3) organizations, schools, churches and local government activities operating in the town of Essex, New York. ECF awards grants in support of community beautification, historic preservation, culture, the arts, education, and programs for youth and senior citizens. ECF gives strong preference to capacity building grants or modest one-time capital projects. It does not fund ongoing operating expenses. Grants generally do not exceed $2,000. The deadline to apply is 5 p.m. May 16, 2014. » Continue Reading. Members of the Saranac Lake Winter Carnival Committee have chosen “Groovy 60’s” as the theme for the 2015 Carnival. The theme was chosen from among five ideas gathered from the public: Adirondack Fiesta, Beach Party, Groovy 60’s, Haunted Adirondacks and Prehistoric Park. The Saranac Lake Winter Carnival will take place on February 6 – 15, 2015. » Continue Reading. The Adirondack Center for Writing (ACW) has announced that it has received an endowment from the estate of author Anne LaBastille to run an annual writer residency program. ACW will host their first Writer Residency program at Twitchell Lake from October 4-11, 2014. This residency will offer quiet space to work on writing and share that space with other writers. ACW has plans to extend the residency to two weeks in coming years. The residency was provided by the estate of Anne LaBastille, who wrote books like Woodswoman and Beyond Black Bear Lake from her cabin on Twitchell Lake. Participants in the residency program will paddle out to visit her cabin at least once during the week. » Continue Reading. 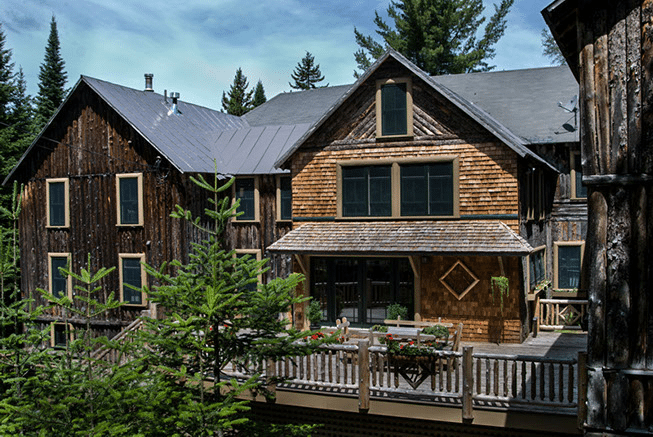 The Adirondack Folk School has announced its second ADK Fiber Experience Getaway Weekend event scheduled from Thursday night, April 24, 2014 through Sunday, April 27, 2014. The event will be held at two sites: the Adirondack Folk School and the Fort William Henry Hotel & Conference Center in Lake George. 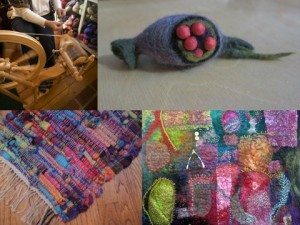 This year’s ADK Fiber Experience includes fiber arts classes during the day Friday and Saturday, fun events at night on Thursday, Friday, and Saturday, and free farm tours scheduled for Sunday in conjunction with the Washington County Fiber Tour. Participants can knit and spin with Donna Kay, a master fiber artist from New Hampshire, do felting work with local artist Robin Blakney-Carlson and Carol Ingram, a felter from Connecticut, and weave with Tegan Frisino. There are classes planned in rug hooking, making stitch markers, knitted wire jewelry, wheat weaving, and more. » Continue Reading. 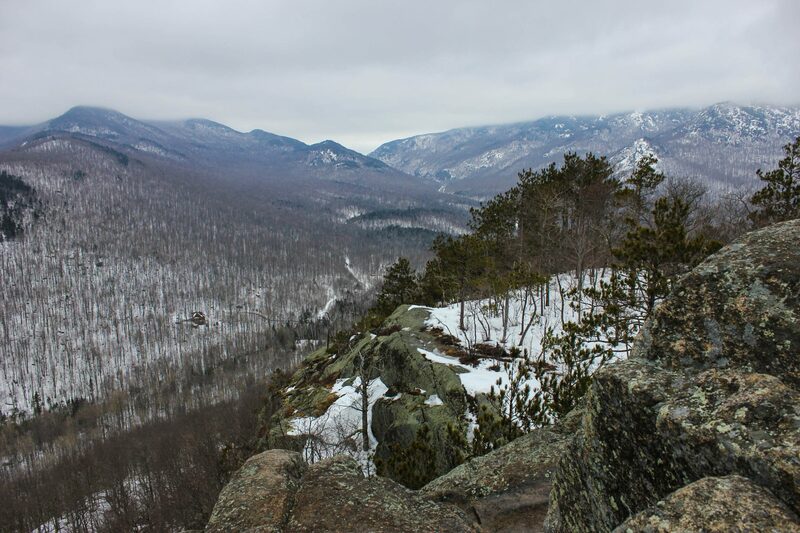 Owl’s Head mountain offers a short hike to very rewarding views of the High Peaks area. The trail is right off 73 near Cascade lakes. The weather has been warm this weekend and a lot of the snow is melting in the area. This is also a great sunrise or sunset hike for the minimal distance to the summit. 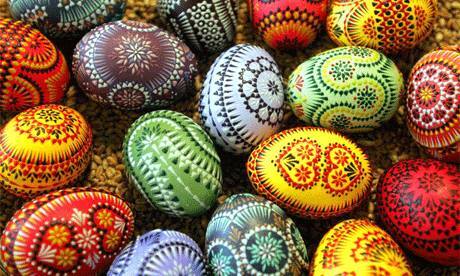 This Sunday Lake Luzerne’s Double H Ranch will be attempting to gesture in spring with its 7th annual Eggstravaganza on April 6. A day at the Great Escape Lodge and Indoor Waterpark may not seem like true spring, but with 5 ft. of snow still covering my yard and the promise of a springtime theme, this may be the closest I get to swimming for awhile, without developing hypothermia. » Continue Reading. 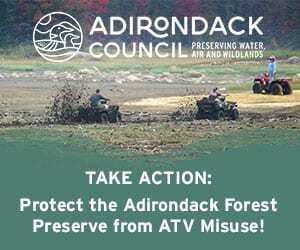 The Adirondack Lakes Center for the Arts in Blue Mountain Lake has announced a new campaign on Adirondack Gives, the crowdfunding site for Adirondack region nonprofits, to help fund the purchase of new tires for the organization’s van. Traveling the 2,000 square miles of the Adirondacks takes a toll on the Center’s equipment. 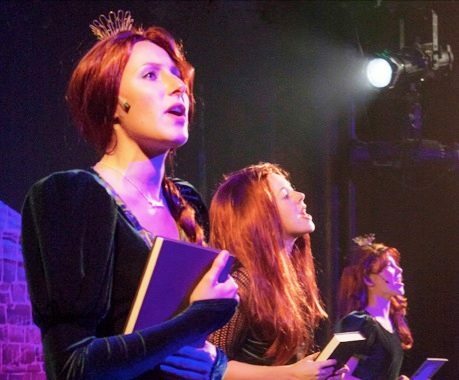 For the 2014 ADK Summer Playhouse season, the organization plans to travel five productions to 17 towns for a total of 31 performances. “The van is crucial piece of equipment, it helps fulfill our mission of bringing our programs to underserved communities in the Adirondacks,” Executive Director Alex Harris said in a statement announcing the fundraising drive. The goal is to raise $800.00. You can give as much or as little as you like to toward that goal by heading over to the Adirondack Gives website. » Continue Reading. If you’re just a regular Joe or Jane, you’ve probably at some point—say, while lying back in an office chair, or doing the dishes, perhaps mowing the grass—entertained a number of Walter Mitty-like fantasies. You know … stuff like, “What’s it like to be that guy or girl?” For men, that guy could be anything. What’s it like to be the smartest kid in school? The star center on a school basketball team? The ace pitcher on the baseball team? A great running back in football? Better yet, how about doing all that in college? Wow … BMOC, plenty of attention from the girls, the coolest among the guys. Might as well toss in a professional baseball contract … what sports-loving boy doesn’t dream of that? If you’ve never been considered “chick bait,” daydreams might find you 6 foot 4 with a muscular build, and a face that others besides a mother could love. In place of your everyday job, reverie might find you a TV actor, or in movies. That would be cool—fraternizing and working with show-biz superstars. And hey, why not marry the world’s most famous model? She’ll need a great place to live … maybe the Hollywood Hills? And we’ll chum around with a top music superstar of the past century. I’m going out on a limb, but here’s my guess: for the rest of our lives, most of us would relish having any one thing from that list. But all of them? » Continue Reading. The view of Gothics from Big Slide is one of the best. It was a perfect day and the Great Range was shining with blue skies. My trip to Big Slide was made over the popular route over the Brothers. If you’re looking for great views, you’ll be rewarded with them after a very short distance. The sun is shining later and later each day, and some of the snow is melting and dripping off of the roof in front of the big window. It’s officially been spring for almost a week now, but don’t bother telling Mother Nature that. The forecast of thirteen degrees below zero tonight isn’t as bad as the negative twenty-three we got a couple of nights ago, so I guess, in a way we are getting more spring-like temperatures. But again, temperatures in the negative teens aren’t that spring-like to me. I’ve been back at the cabin full time, and having a few weeks off from living out here was definitely nice. After three winters having to haul in water and use an outhouse no matter what the temperature, the shine of living off grid has worn off. I still enjoy many, many aspects of it, but this winter has definitely been a mood killer for me. 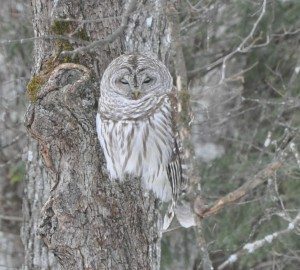 I was able to tap a few of the maple trees the other day and start collecting sap, but it’s been slow going with the cold returning. And the hike up the driveway isn’t any easier than it was in February. » Continue Reading. 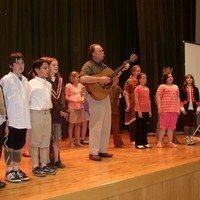 On a tour of the Transylvania region of Romania in 2005, Dan Berggren and his friends sang in small towns and big cities, orphanages, schools, hospitals and churches. One night in the little village of Almas, after their last song they asked the audience to sing something for them. They sang, in Hungarian, a song hundreds of years old about their town. That experience inspired Berggren to want to write a song about his hometown, Minerva. Three years later the inspiration became reality, thanks to a project with Kathy Halloran’s fourth graders at Minerva Central School, and their music teacher Sabrina LaPointe. The children interviewed their grandparents and older neighbors about what had changed in their hometown, and what had remained the same and the verses grew from what they brought back. The song’s chorus came from a list they generated, letter by letter, of all the things in their town that were meaningful to them. » Continue Reading. Old Blue Eyes takes the stage, a singing duo from the 50’s reunites, and humor ensues in a small Texas town for the Depot Theatre’s lively 2014 Season lineup. “It’s a terrific season of fun and laughter at the great quality our audiences have come to expect,” says Depot 2012 Volunteer of the Year Karen Lewis, who has guided the season planning process. The season opens with “My Way: A Musical Tribute to Frank Sinatra”, a musical that distills the nearly 1,400 songs that Sinatra recorded down to 56 selections. The show promises to be a fresh, entertaining evening of great music, beautifully and brightly delivered by a cast of four. 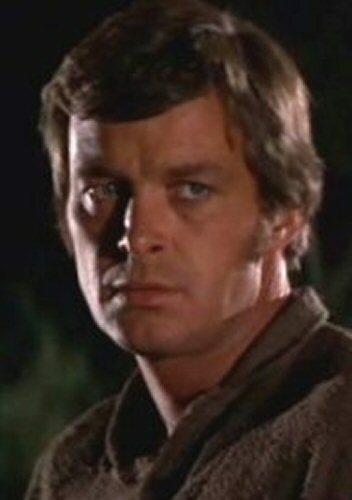 Old Blue Eyes is followed by the fast-paced, costume-changing hilarity of “Greater Tuna”, a send-up of small town morals and mores in which two actors portray an entire group of upstanding citizens in the small town of Tuna, Texas. The musical comedy “Pete ‘N’ Keely” caps the season. Pete and Keely are a now-bitterly-divorced chart-topping singing duo from the 50’s and 60’s who reunite for a 1968 television special celebrating their careers. This bright and happy show features a nostalgic and clever mix of golden oldies sure to have audiences laughing and tapping their toes. » Continue Reading. 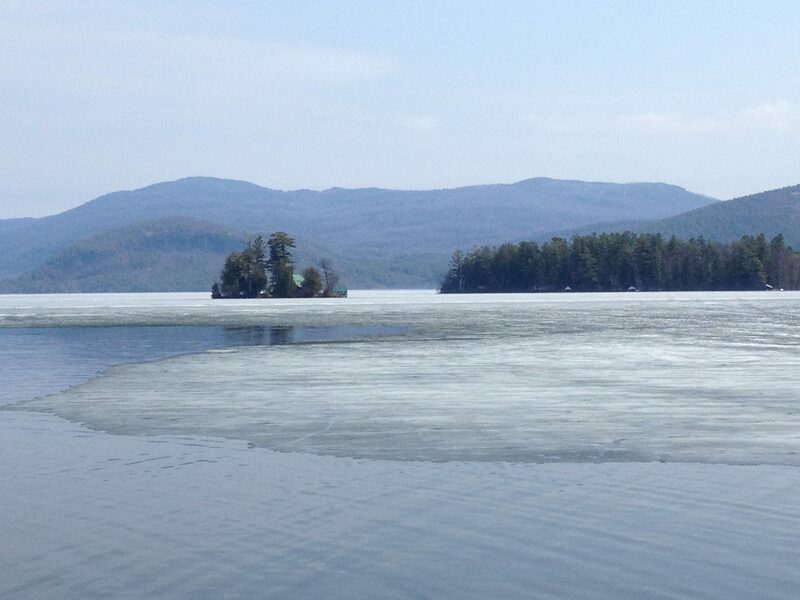 On Sunday, April 6, 2014 at 3 pm at the First Presbyterian Church in Saranac Lake, the Tri-Lakes will celebrate Rev. 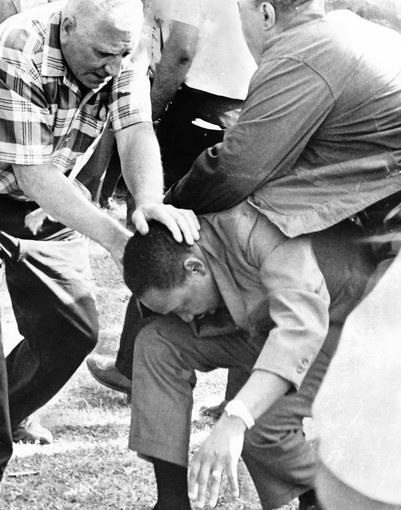 Dr. Martin Luther King’s life and continue his fight for economic justice. The Saranac Lake Ecumenical Council, local clergy, and dreamers of Dr. King’s dream are sponsoring this event. Dr. King’s efforts to achieve economic justice for all will be celebrated through his words and the music of the Civil Rights Movement. There will be an eyewitness testimony from a local resident who worked alongside Cesar Chavez; excerpts from the Dr. King’s writings will be read, and the singing of music from the movement. A free will donation will be accepted to support Samaritan House, the Saranac Lake Ecumenical Council’s Homeless Shelter initiative. Afterward, refreshments will be served in the Great Hall. » Continue Reading. A new campaign on Adirondack Gives, the crowd-funding site for the Adirondacks, hopes to raise funds for a short video to celebrate this year’s 50th Anniversary of The National Wilderness Preservation Act of 1964. The Act’s chief author, Howard Zahniser, took his inspiration from New York’s “Forever Wild” constitutional protection of the New York State Forest Preserve. That constitutional protection has its 120th anniversary this year (1894-2014). 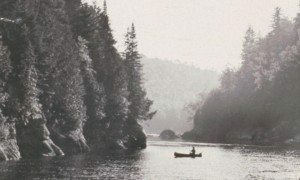 Zahniser often wrote that New York State set the example for the national Wilderness movement, and is “where wilderness preservation began.” » Continue Reading.